“We are 15 miles from the sea, but it feels as if we are right over it,” BBC Africa editor, Fergal Keane said during a helicopter flight over some of the worst-affected areas. 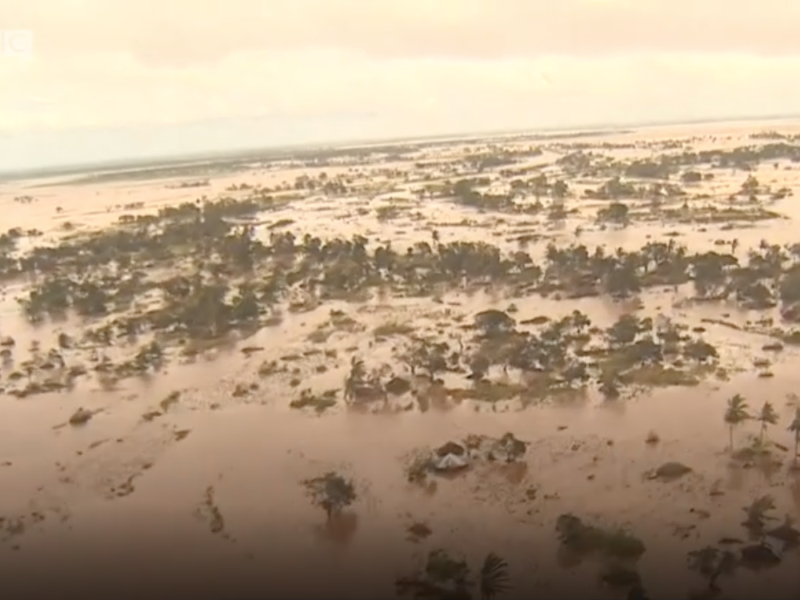 Thousands of people have been affected in Mozambique, Zimbabwe and Malawi and the death toll is expected to rise. Charities on the ground are calling for immediate assistance and one of these is led by our dear friend Heidi Baker of Iris Global who is often featured in our programming. She and her husband Rolland have been missionaries to Mozambique for close on 25 years and in God’s providence are right there on the ground in this present disaster. It is being referred to as “one of the worst to hit the Southern Hemisphere” with over 1.5 million people affected and many lives still at risk. “In the last few days a massive cyclone has ripped through our nation destroying nearly 90 percent of the city of Beira and surrounding villages. People are desperate…” says Heidi who is working with other aid agencies on the ground to “be the hands and feet and heart of Jesus” in this crisis. Watch the video below from Iris Relief and consider how you can make a difference. Pray for Mozambique and Zimbabwe and give towards the relief efforts through Iris Relief. Rolland and Heidi are also looking for volunteer first responders who will join Iris on their mission, especially doctors and medical personnel. Translators from English to Portuguese are needed as well as intercessors. Together we can help rebuild this devastated nation.